The Enneagram personality taxonomy is comprised of nine basic types. In what I consider to be the best Enneagram book, Personality Type, Don Riso refers to the Enneagram 4 as The Individualist. As detailed in my post, Enneagram & Myers-Briggs / MBTI correlations, the INFJ and INFP are the most likely of the Myers-Briggs types to test as Enneagram Fours. While the INTP and INTJ more often test as the Enneagram type 5, they commonly have a 4 wing (e.g., 5w4) which suggests they have significant Four tendencies. Here Kierkegaard furnishes additional key insights into the Enneagram 4. One is their need for personal truth. For identity-seekers, not any truth will do, but only that which they experience as personally meaningful or significant; truth must also be drenched in meaning. In his Concluding Unscientific Postscript, Kierkegaard refers to this as subjective truth, which in his view, is the only truth that really matters. In modern parlance, we often use the word passion to describe that which resonates most deeply and intensely with us. It is this sense of passion and resonance that Kierkegaard was referencing. Kierkegaard also highlights Four’s deep-felt need to identify their purpose, to “get clear about what I must do.” In other words, their search for self is also a search for a vocation, one which can serve as a reliable vehicle for self-expression. Indeed, without a suitable means of expressing their ideas, feelings, or insights, Fours are apt to feel dissatisfied and incomplete, concerned that no one will ever see or understand them for who they really are. Some may even fear that they will go to the grave having never been understood by anyone, thus imbuing their quest with a sense of urgency. The mission of the Enneagram 4 can thus be seen as marked by two primary goals: self-understanding and self-expression. The former is in large part an introverted (I) objective, while the latter entails a translation of their inner world into an extraverted (E) form. Both elements are necessary in order for the Four to feel psychologically whole and satisfied. 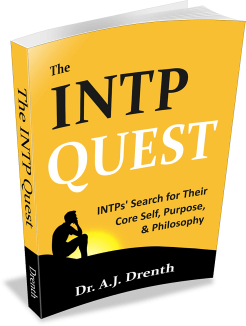 As introverts, Fours can be inclined to believing that the introverted element (i.e., self-knowledge) must precede self-expression and that additional self-insight is required before authentic action is possible (see my post, Why INFPs, INTPs, INFJs, and INTJs Struggle to Act, for more on this). However, according to Riso, self-knowledge and self-expression should not be seen as independent processes, but symbiotic ones: “In the creative moment, Fours…not only produce something beautiful, but discover who they are.” In other words, self-discovery and creative work go hand-in-hand. Consequently, many Fours feel that identifying a creative career or vocation is a critical part of their search for self. This is especially true for those with a 3 wing (4w3s), who are particularly concerned with creative achievement. Those with a 5 wing (4w5s), Riso maintains, tend to “create more for themselves.” Compared to 4w3s, they focus less on the E element (e.g., productivity, success, accolades, etc.) of their pursuits. There is another way of looking at this, however. It may be that 4w3s see creative productivity as a necessary route to making a living doing what they love, one that can furnish them with more time to function authentically. In type speak, they see extraverted success as a means to greater introverted freedom. While 4w5s certainly don’t enjoy compulsory or inauthentic work (e.g., “a day job”), they are more patient, and often more perfectionistic, with respect to their introverted process than 4w3s are. They would rather write one great book or make one ground-breaking album than produce 10 of lesser quality or originality. In short, these two subtypes differ in the sorts of concessions they are willing to make: 4w3s are more willing to make compromises in their creative work to render it more palatable to the masses, whereas 4w5s may sacrifice more of their time to a day job in order to maintain the purity of their introverted pursuits. Regardless of their particular subtype, Fours seeks a life of meaningful self-reflection and creative expression. They aim to figure out who they are and what they were born to do, and then to act in accordance with that understanding. They want their guidance and direction to come from within so as to ensure that their course is an authentic and meaningful one. Despite these good intentions, Fours must eventually come to terms with the fact that, in order to get what they want, some measure of compromise is required. As much as they might like to, they can’t support themselves through self-reflection alone. Food won’t find its way onto the table unless they do something, irrespective of how ready or prepared they feel. Decisions must be made and enacted apart from perfect self-knowledge. While doing so may at first smack of inauthenticity, in some cases, it may be a blessing in disguise. If as Riso suggests Fours discover themselves through creative work, then a little outside pressure to jumpstart the process may not always be a bad thing. According to author and psychoanalyst Allen Wheelis, arriving at a firm sense of identity is now more difficult than ever. Not only must one contend with an ever-expanding number of life roles and paths, but the world is perpetually changing at a breathtaking clip. And because the world is changing so rapidly, Wheelis suggests that maintaining a fluid sense of self may have adaptive advantages. Those incapable of changing with the times may, among other things, find themselves out of work. 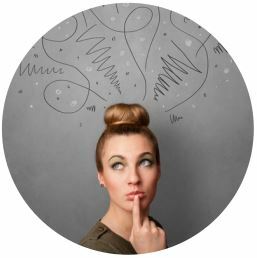 While the prospect of a fluid identity is apt to be met with acceptance or even excitement among extraverts, it can be a distressing thought for introverts aiming to solidify their sense of self and vocation. In any event, Wheelis’s insight may shed some light on the inherent difficulty of introverts’ self-knowledge project. It may be that Fours fear, even subconsciously, that cementing their identity puts them at risk of becoming obsolete or left behind, making continued functioning as seekers a safer bet. Another approach to dealing with rapid societal change is to focus less on self-knowledge and more on acquiring “objective” or scientific knowledge. According to Riso, this is the preferred approach of the Enneagram Five, especially those with a 6 wing (5w6). Unfortunately the Four is unlikely to consider this a tenable solution, seeing the self and its interests as their primary source of meaning and value. In the end, the Four may have little choice but to take the artist’s path, including finding ways of navigating its attendant hardships and challenges. The Four’s life is a continuous and mutually-enriching dialogue of identity-seeking and creative self-expression. So as they grow in their self-understanding, their creative work becomes more powerful and refined. Likewise, as they develop as creatives, they feel more attuned and connected to their essential self. While Fours should never expect to “arrive” or achieve absolute certainty in their self-understanding, they can celebrate each step, however small, toward greater clarity and authenticity in their life and work. I really enjoyed this post but have an inquiry. I test as an INFP but according to the enneagram theory I am type 6 with a 5 wing. What Myers Brigg correlates with type 6? Technically, any MBTI type can have any Enneagram type. Having a certain MBTI does not mean you should expect a certain Enneagram. However, Introverted Sensing (Si) is most correlated with type 6. In hopes of adding some insight for Lauren I offer this; As an INTP I have been through stages in life where I showed a lot of Si tendencies. Si is very evident in many INTPs when we go through stages of reminiscence and nostalgia . We will often pick up hobbies to do with learning history, collecting historical or novel items, and the like. We will often show these and other Si behaviors throughout life and sometimes very strongly through certain stages of our development. An INTPs functions in MBTI are Ti Ne Si Fe. Si being our tertiary (or relief function) is something we have in common with INFPs (INFP= Fi Ne Si Te). Notice that INTPs and INFPs share the same perception functions. It wouldn’t surprise me if we shared similar developmental curves in these functions. If type 6 or 6w correlates with Si I might have tested high for 6 in enneagram during certain stages of life. I test as a 5w4 now. Loads of lead fi users fall into the type 6 and type 9 on enneagram. My brother is infp and type 9 and my friend is infp and type 6. Both show plenty of type 4 also. I’d bet plenty of infp fall into the 469 tritype of enneagram. Everything I have watched or read points me at being an INFJ 9w1. That’s probably why I don’t relate to all of the INFJs out there, if they are type 4s. What I do relate to is being the counselor, seeing two sides and helping people find the middle. Do you have any insights for INFJs that fall out of enneagram 4? This isn’t really an answer to your question, but I just wanted to chime in and say your perception is probably correct. I’m an INFJ and a 4 on the enneagram and the one other INFJ I know well is a type 9. I’m confident we’re both correctly typed, but we’re quite different. The most easily observed difference is I have a melodramatic streak that my type 9 friend simply does not have- he’s primarily a peacemaker and I’m primarily a truth-teller. Neither is better or worse, but it does make a pronounced difference. I prefer MBTI, but it seems there’s something about how people click that the enneagram captures and MBTI doesn’t. I am also an INFJ 9w1 and have met a few others. I would be interested in reading more about this as well. As an INTP I find myself typing as an Ennegram 5 w 4, and that inflects upon my focus. 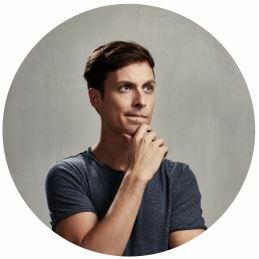 I am concerned fundamentally with my ingenuity, but I’m not necessarily concerned with myself, having meaningful work strikes a familiar life long chord, but I don’t believe I can know myself. Not in the way I can know Math, Physics, or Biology. I spend a majority of my time in trying to understand perceived reality and the fleeting glimpses of objective reality. I’m drown out of myself in order to fulfill the drive of systems creation. I say I am an epistomologist by nature, because I’m fundamentally concerned with knowledge structures, and myself as it relates to ingeniousness secondarily. The seeking of strikes me as somewhat irrational and vain if not directed towards some expression. The self is just an instrument to me. My passion is in things, and I do things dependent on my own interest in the thing, or as many have said for the sake of the thing itself which I now see is an inverse pursuit of the self, but one where the self is a means to an end. Wow, this is very helpful. I’m an INFP 4w5 and this post and your prior posts have done a great job of helping me figure out the many nuances more generalized writings have not. I definitely see the huge difference between an achievement oriented INFP 4w3 and a self reflective 4w5, in the degree to which the 4w3 creates for achievement of external standards and the 4w5 creates almost exclusively for themselves. The latter of which, while spiritually fulfilling and potentially contributive at a higher level, can be utterly impractical in everyday reality and in need of “compromise” to pay the mortgage. Thanks for the great work. I read many of your posts regarding all things INFP and learn something new each time. 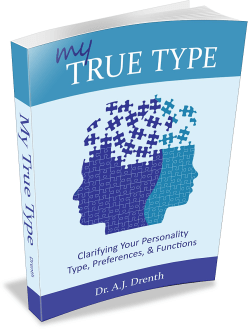 I’ve read the work of many MBTI authors and yours stand out for both their research and their intuitive insight. The holly grail for INxx is to balance puer senex relation. As a a Fivew4 I could’ve Typed as a Four, but I always knew I sought Truth about things, not necessarily about myself, and sensed almost painfully that there was a great deal to Understand…a tremendous need for me. That took form in expression in unique ways. First in poetry, writing, then in music (reverbnation.com/stargazer21). Very interesting article. I am an INFJ and 5 wing 4 with nearly equal distribution of 5 an 4 traits and it makes a lot of sense. Thanks for all the great work! Many years back I was given the Myers Briggs Personality indicator and came out an ENTP. At that time I was always with people and very active socially, I thought the test was amazingly accurate. 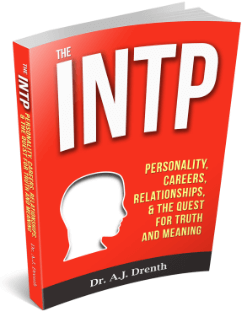 I am much older now ( 86) and a many years back your test registered me as an INTP. I have lived alone since my husband died in 2009 but i have chlldren and grandchildren very close. The thing is –I love being alone, Never have been before. I can do anything I want. I have been an artist for years after a teaching career . I take OLLI classes and write letters to the editor often ( Was once a columnist for the paper) . My children are amazed that I have such fun living alone. So I feel as if I am now can say I am probably an INTP/. As 4w5 I found this post very interesting!I always test INFJ but I ‘m pretty sure I’m INFP.Either way I’m surely enneagram four and the worst thing I can imagine is to lost the sense of ‘who’ I am.If I no longer know who I am or what I really want ,I feel useless and out of place wherever I go.Tough my view of life and ideas could change with time and experience ,the only important thing is that I know ‘who’ I’m in that moment.I agree with the fact that 4w5 tend to ‘create more for themselves’,at least it works for me.Of course I’d like to share my creative achievements with the world one day,but it isn’t the most important thing,and I’m afraid that having a creative job could make me dislike the creative process with time.Your MBTI posts are the most useful and insightful I’ve found this far,I love them all.Thank you! It’s interesting, how enneagram corelates to MBTI. Personally I’m INFP, but a 9w1 instead of a 4.